Nice Pretty Things and others, by Rachel Bush (VUP, 2011) 80 pp., $28.00; Tongues of Ash, by Keith Westwater (Interactive Press, 2011) 92 pp., $27.99; The Same As Yes, by Joan Fleming (VUP, 2011), 79 pp., $28.00. Poetry is a beast that talks in many tongues, but always with this singular quality: it can conduct a conversation – between poet and reader, poet and subject, and even subject and poem – on a seemingly one-to-one basis. It’s a quality that ranges across epochs and extends to the conversations poems hold with other poems. With ‘verse’ so obviously embedded in ‘converse’, this observation is neither surprising or new, but three recent collections highlight how it still holds true today. Rachel Bush’s ear has always been closely tuned to the rhythms and nuances of speech. Sometimes her monologues seem inspired by snatches of overheard language, but more often they rework the remembered and possibly heightened and/or imagined discourse of friends, family and acquaintances. In her latest and most absorbing collection, Nice Pretty Things and Others this aspect of Bush’s work underpins much of the structure – and is effectively announced in the title’s colloquialism and timely rescue of the word ‘nice’ from its spell in the doldrums of language. This is Beckett-like in its simple intensity and provides a subtle and perfectly pitched close to a book inhabited by many voices: a taxi driver, mountains, birds, a pig and ‘the small wind that stirs/the uncut grass’ all speak to the poet in their different ways, but the voices Bush channels most directly are those at the vulnerable margins of life. She gives a warm and generous ear to children finding their way in the world – and their carers – as well as those moving with fatally compromised dignity towards their exit, the terminally ill and aged in hospitals and rest homes. Where did you learn to do this hard strong common thing? While such tender details are central to this collection, they are offset by Bush’s characteristic wit and intelligence. This finds its fullest expression yet in ‘Tell me about Menton’, a piece of sustained ironic whimsy in which the speaker/poet recounts her imagined experiences as the Katherine Mansfield fellow, complete with incidents on the aeroplane and the tragic demise of Guido, a hand-reared baby parrot. The poem is a cheeky homage and celebration, which has the uncanny effect of elevating us above the nit-picking of local literary politics and claiming receipt of the fellowship for all New Zealand writers, both those who are or have been, and those who will never become members of that inevitably exclusive club. So, for goodness sake, could someone now please retrospectively grant Bush the Mansfield fellowship? Her writing has reached new heights, she’s already found the club’s back door and while she would no doubt devote her tenure to filling cahiers with poems, could simply enjoy the food (pendulous tomatoes), weather (sometimes rainy) and uncertain plumbing that she describes in a mask of playful childlike innocence that evokes something of Janet Frame’s time in Menton, anxiously awaiting payment of her stipend. And on top of that, while she’s there, Bush could even make a side-trip to the nearby city that figures so prominently in the title of her latest book. their particular explanation of green. He is less successful, though, when he tries his hand at weather poems or more abstract themes, in which his enthusiasm carries him away in heavy-handed personification or metaphors that seem forced or fail to go off, despite the frequent use of military signatures. Such poems are often conceptually strong, but leave you wishing for the sharpness of deeper thinking. In ‘River talk’ Westwater addresses the Hutt River: ‘Before this walk is over/we need to talk, you and I’. Both the title, and the aforesaid penchant for personification, set the reader up to expect the river to find its voice and tell its story, but ultimately we hear only the poet’s mutterings. Other poems fare even less well. ‘The love of rocks and water’ is a sestina in which the diction, syntax and imagery become convoluted in their rush to achieve the overall conceit. Along with some others, it shouldn’t really have seen publication and would better have remained the passable attempt at a creative writing class exercise it probably was – a darling, no doubt, but to be killed off in the long run, to invoke Faulkner’s maxim. 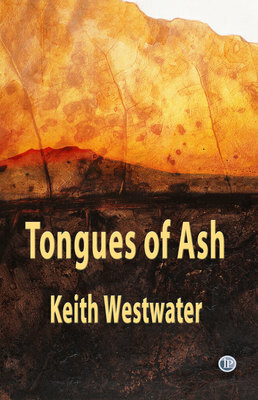 Tongues of Ash comes from Interactive Press, an independent Australian imprint. 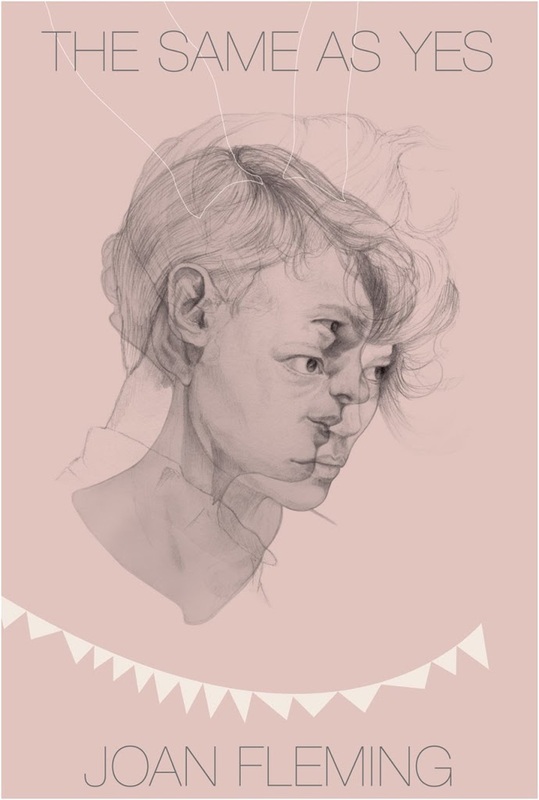 For the benefit of Australian readers, poems are frequently provided with footnotes that are old news to New Zealanders, but have the unsettling effect of positioning us within the exotic otherness of colonial/postcolonial discourse. It’s a moot point, of course, as to how much we should gloss the culture, but with information these days just a click away, it seems to me that Westwater’s poems would have benefited from the conventional use of appended notes, gaining from the mystery and leaving some work for the reader to do. The collection does, however, boast an innovative frontispiece, a map of New Zealand marked with the locations of various poems. It seems to signal the collection as a song-line, a trans-Tasman reference with strong potential, though in the case of these one-sided conversations, it remains largely unrealised. This all suggests a lack of editorial guidance, especially for a first book. Interactive Press is one of a number of small Australian presses to emerge in recent years, a development to be applauded and encouraged. Indeed, in the digital era we are swiftly entering, such publishers may play a significant role in keeping the print book alive. But, despite the opportunities of print-on-demand, the long-term survival of the slim volume will only be as an artefact in which editorial, design and production values are paramount. On the strength of Tongues of Ash, I’m not convinced that the team at Interactive fully appreciate this, yet. They certainly need to employ a better cover designer and also to recognise that marketing gimmicks such as their IP Picks in-house awards, with which this book comes lauded, serve only to erode any sense of editorial discrimination. You can see what’s happening. Poems are already conversing with each other, or tilting at themselves, and a narrative of sorts – an autobiography perhaps – is being hinted at, yet remains elusive, as hard to pin down as a quantum particle. can own a forest of clothes, a warehouse full of plates and bowls in boxes, and always drink from the same blue favourite cup. A woman has to love a thing to belong to it. This exemplifies the refracted psychological states Fleming achieves, which are complemented by the surrealism and music of her imagery. It’s an act that no one, not even the poet herself, will be able to repeat, though no doubt she will move on to other things with equal individuality. So catch it while you can, and while it’s new. It makes for one of last year’s most startling debuts. CLIFF FELL is the author of two collections of poems, Beauty of the Badlands (Victoria University Press, 2008) and The Adulterer’s Bible (Victoria University Press, 2003), which won the Jessie Mackay Prize for Best First Book of Poetry in the 2004 NZ Book Awards. He teaches creative writing at Nelson Marlborough Institute of Technology, and occasionally talks about poetry on Nights on Radio New Zealand National.